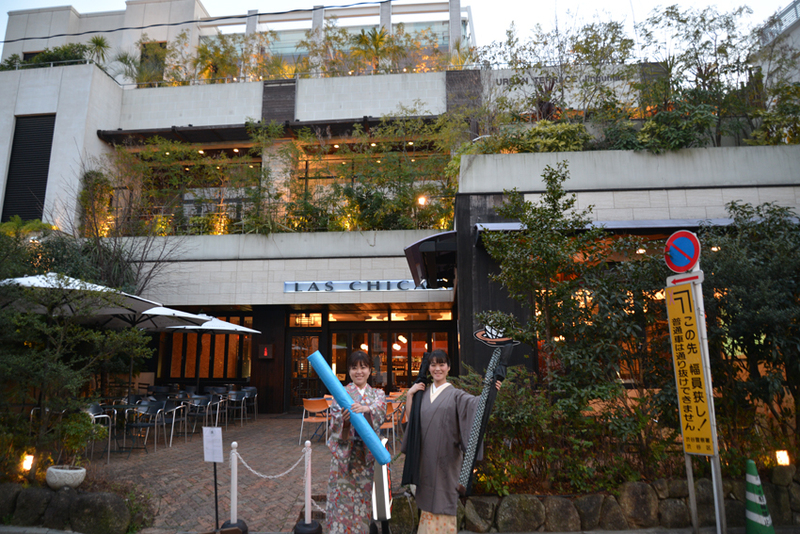 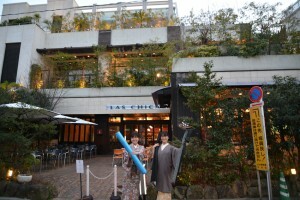 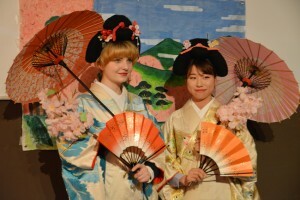 On March 14th, we, kimono dreamers and samurai club, appeared on the stage of Artistic Tokyo organized by Bonjour Tokyo. Bonjour Tokyo held fun events on a regular basis. 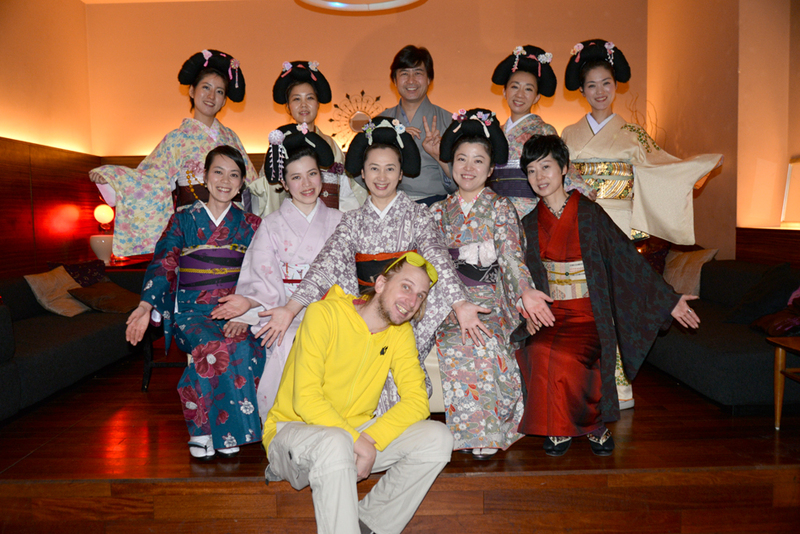 Mr. Julien Tirode, who is good friend of mine by the way, is the representative of the community. 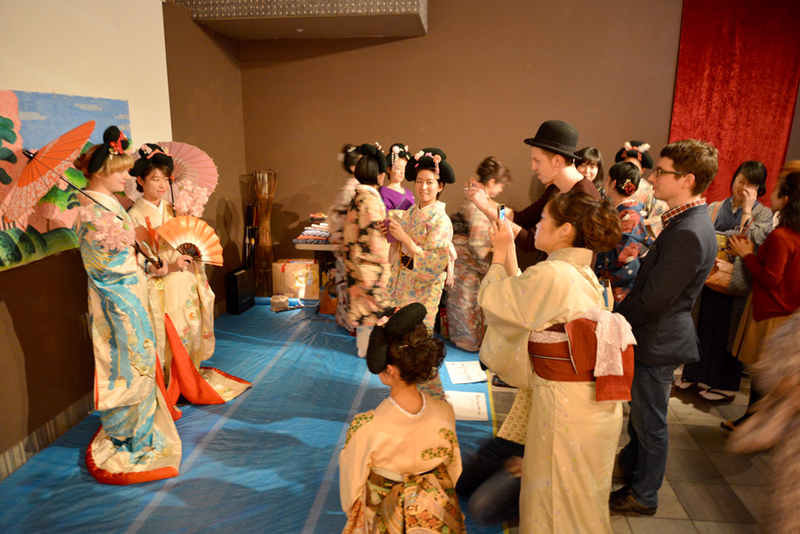 We brought some bamboo swords and kimonos because we wanted guests to feel close to Japanese culture. 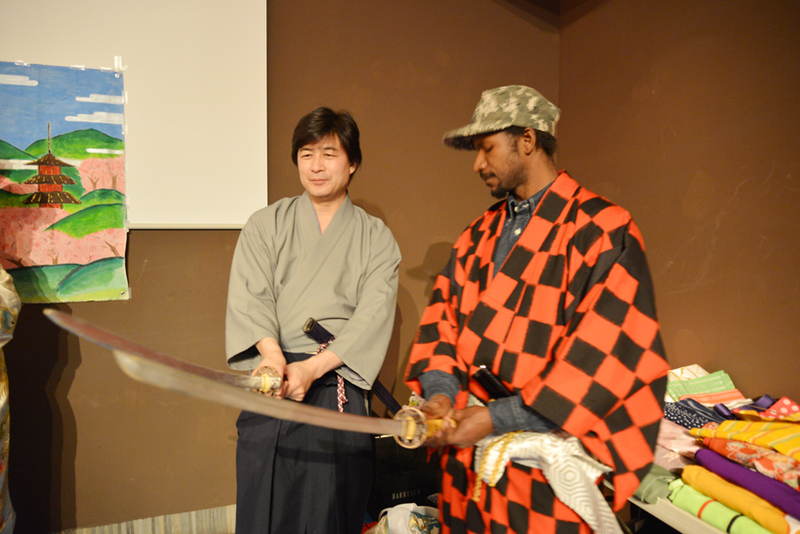 Samurai club explained how to handle sword to male guests and took commemorative photos. I wish I could do the action of brandishing a sword if there is a room for it. 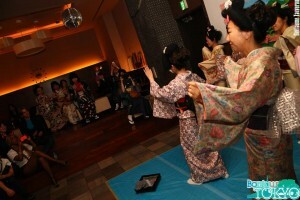 Unexpectedly, the uchikake kimono experience was very popular not only to foreigner guests but also to Japanese guests. 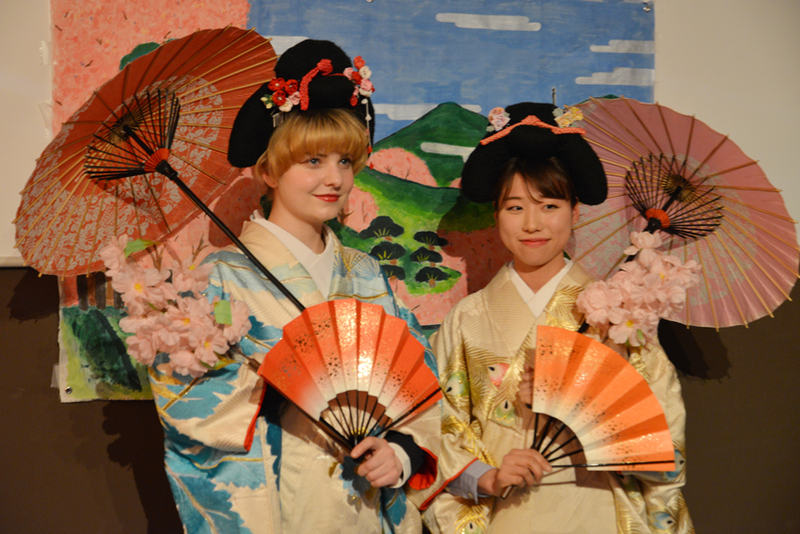 What is more, kimono dreamers gave Japanese dance performances.